Every month or so I am completely speechless when it somes to my children’s chinuch. I find myself left without words, not because my children’s education as been ruined by “the system”, but because I’m astounded by how fortunate they are to be learning so many important things that are not always found in a textbook. A few weeks ago my daughter in second grade told me after shul on Shabbos that she was “mevater (gave up) her lollypop to her older brother”. I was speechless. Not because she gave up a lollypop (althought that was impressive), but because she rocked the term “mevater”. It isn’t a word that gets used a lot in conversation. In fact, I think I’ve only used the term maybe 3 times in my entire adult life. I’m not against the concept of being mevater, however despite the book, Let’s Learn Middos 4: Being Mevater (which we don’t own), I don’t often think of it as a middah. Maybe I should. 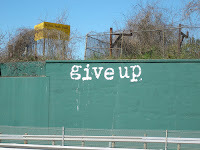 For a child (or this blogger) it’s important to understand that “giving up” something can be a good thing. Selflessness, chessed, and understanding what we need vs. what we want are part of growing up. For me, it might also be prudent to be mevater certain inhibitions and notions I have about my own abilities. 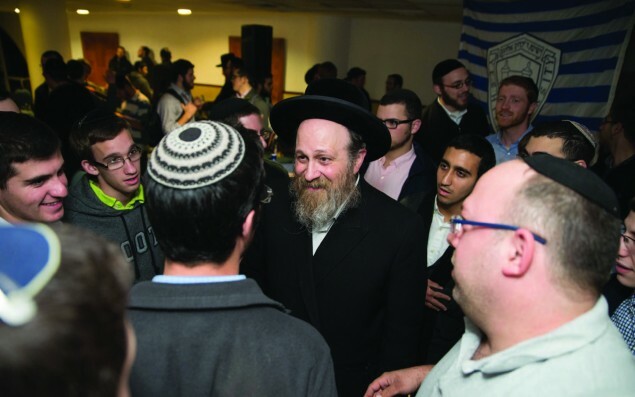 Can one be mevater the things that hold one back from their Avodas Hashem? Probably, but you have to know yourself and what why you are not doing what you should be doing. Of course, a true student of Reb Nachman of Breslov will comment that one should “never give up hope”, but you could give up what’s blocking you from hope. For a second grader to understand that all isn’t lost when you give up some candy is an important lesson and one that her Morah has successfully taught. I know the lesson was a success because everyone in my family is on the “mevatar-bandwagon”. This entry was posted in Avodas Hashem, breslov, children, chinuch, personal on February 24, 2010 by Neil Harris. I am always happy when I read something that makes me feel good about myself and what my potential is. This is one of the things at attracted me to mussar seforim. That knowledge of our potential also attracted me to the teaching of Reb Nachman of Breslov. While I own a number of Breslov seforim, I’ll be the first to say that I’m no where near the level of calling myself a chossid of Reb Nachman. I do, however, get a lot of mussar and chizuk from his teachings. R Lazer Brody recently posted a fantastic essay on the importance of Believing in Yourself. It always amazes me that Hashem allows me to hear a d’var Torah or read something that happens to be exactly what I needed at that time. R Brody’s post was one of those things that I needed to read today. Observant Judaism is also like a war. The Yetzer, or Evil Inclination, has an array of weapons and forces at his disposal, to deter and discourage a person from making Tshuva, or to break the heart of a person who’s trying to effectively become a ben- or bat-Torah. If you believe in yourself, you’ll be able to wipe the floor with the Yetzer. The whole essay in all of its glory can be found here. This entry was posted in breslov, growth, Mussar, personal on December 21, 2009 by Neil Harris. Ever feel like you’ve hit a wall and you really have only one option and that option is to just break through said wall? I’m sure you have. Most of us do. The problem I have, is that I’ve realized that the wall happens to be a mirror and my own reflection is what’s stopping me. There’s no easy way to say it. It stinks, like the skunk I happened to have ran over the other day. The smell just lingers. I tend, when all is said (or written) and done, to be the one real wall. I am the person who holds myself back from my own goals. Like the many people that read this and don’t comment, I end to chose silence over real action. Without getting to personal (I leave all the personal chizonius for Facebook), for all of the hours spent in hisbodedus and reading Mussar seforim, I, and all the pleasant insecurities that make me who I am, are the wall that keeps me from going forward. I just need to grab hold of the coin and put it into the pocket of my khaki pants. This entry was posted in breslov, Mussar, personal on June 4, 2009 by Neil Harris. Just as he spent days and nights in hisbodedus (solitude and contemplation) in a room, or deep in the forest, so did he demand that his talmidim do the same. 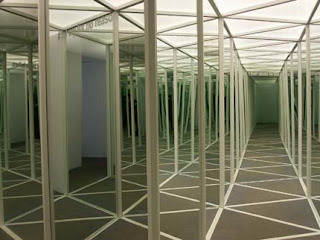 Thus, a room designated as the beis hamussar was installed in every Mussar-oriented yeshivah, where one could search his inner-self and study Mussar in privacy, whenever the need was felt. The entire entry is available here . 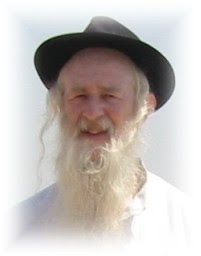 This entry was posted in breslov, Mussar, Novardok on March 5, 2009 by Neil Harris. Please come!!! Tell your friends!!! Rabbi Avraham Greenbaum, Director of the Jerusalem-based Azamra Institute, is a world-renowned teacher on Kabbalah, Chassidut, Healing and Environment, author of over twenty-five books, a former BBC radio producer and an accomplished musician. This entry was posted in breslov, Chicago on June 12, 2008 by Neil Harris. Have a great Shabbos Kodesh! This entry was posted in breslov, lessons, personal, Salanter on April 4, 2008 by Neil Harris. Erev R”H my family got a call from the Chicago Center for Torah and Chessed, as part of calling post, to remind us to make an erev tavshulin. Our neighbor brought us some amazing fried chicken from this place. My shul’s Rav used a Reb Nachman story (the king’s wheat supply makes everyone insane, so he and his advisor mark their heads so they know they remember they are insane) on his first day drasha and based his second day drasha totally on an idea from Rav Soloveitchik. Shabbos Mussaf also was way beyond what I expected with a great kiddusah. And I got to make a l’chaim with this. Motzei Shabbos my wife found that we had a flat tire in the Ubervan. I took it, along with my copy of Bilvavi Mishkan Evneh, to Sam’s Club to get a new tire on Sunday. So, I admit, I had a Bilvavi moment when I started telling myself, “Ribbono shel olam, I know clearly that when I buy this new tire, I do not have control at all as to which tire I will end up buying, but it is all by Your decree.” In then end I ended up with a “Goodyear“. Hopefully this will be a “siman” as well. This entry was posted in Bilvavi, breslov, Chicago, personal, Soloveitchik on September 19, 2007 by Neil Harris.